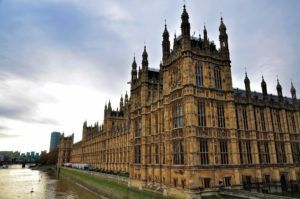 For nearly a year, the House of Lords Financial Exclusion Committee has been taking evidence from charities, industry representatives, regulators and Ministers on this important topic. The resulting report, published at the weekend, is an impressive body of work – and provides the call-to-arms in Westminster that this crucial agenda needs. With more than 1.7 million people still ‘unbanked’, 40 percent of the working age population having less than £100 in savings, and those on the lowest incomes continuing to pay a significant poverty premium, financial exclusion in the UK is a problem of significant scale. Last July, I was pleased to be invited to be among the first witnesses to appear before the Financial Exclusion Committee, chaired by Baroness Tyler of Enfield. Here at the Trust we have been following its work closely since (read our thoughts in full in our written evidence here), and there is much in the report to welcome. As I said at the time, the problem of financial exclusion is so vast, and so complex, that nothing less than a co-ordinated, whole-society strategy to tackle it will do. That’s why I am pleased to see some very strong recommendations from Peers on the need for leadership from government – “a clear strategy for improving financial inclusion in the UK”, led by a “clearly designated Minister for Financial Inclusion”. We hope the government will carefully consider this case – which was first articulated so well by the Financial Inclusion Commission in the run up to the General Election. More broadly, through its 22 wide-ranging recommendations, the Committee’s report aims to galvanise government, regulators and industry to take strong action to improve financial inclusion in the UK. On the FCA, Peers recommend expanding the regulator’s remit to promote financial inclusion as one of its key objectives, as well as amending the Financial Services and Markets Act to introduce a “reasonable duty of care for financial services to exercise towards their customers”. The report also recommends further action on unarranged overdraft charges and high cost credit, which are both the subject of the FCA’s attention at the moment – as well as a new requirement on banks to raise awareness of Basic Bank Accounts. The experiences of people in vulnerable circumstances – something that the Trust continues to focus on in our work with creditors across sectors – also features strongly in the report, with recommendations on the need to review reasonable adjustments made for disabled customers, and the development of ‘control options’ for people with mental health problems (an agenda being led by our friends at Money and Mental Health). We were of course pleased to see strong support from Peers for the work of debt advice agencies – and for the successor body to the Money Advice Service to be given a strong mandate to “commission and fund effective and impartial debt advice for all who need it”. Like the Trust, Peers also took the view that the successor body should continue its financial capability role – including building on the strong start that has been made through the UK Financial Capability Strategy. The report responds to the large volume of evidence the Committee received on welfare reform. In particular, we were pleased to see two recommendations made by the Trust reflected in the final report – the abolition of the seven day waiting limit for Universal Credit claims, and the introduction of tenant choice over whether payments should be made to them or directly to their landlord. If not addressed, these and other practical issues risk undermining Universal Credit’s central aim of getting people into work, and Peers are right to highlight them. Also welcome is the report’s recommendation of “a detailed, comprehensive cumulative impact study of how changes in social security policy … might have adversely affected financial wellbeing and inclusion”, including examining the links between welfare changes and problem debt. We hope the government takes up this recommendation. Crucially, however, any such piece of work should consider not just problems caused by the welfare system, but also potential solutions it could offer. For example, at the Trust we have long argued that there is a significant opportunity to better use Universal Credit to help people resolve problem debt – including by integrating free debt advice fully into the Universal Support programme. We look forward to discussing this further. None of this is to say that the government has not made progress on financial inclusion in recent years. It has – for example, through the Basic Bank Accounts agreement, intervention in the payday lending market and Help To Save. The challenge now is to take this piecemeal approach and give it a joined-up, whole-society focus – as the previous Financial Inclusion Taskforce did under the leadership of one of the Trust’s Ambassadors, Sir Brian Pomeroy. It’s now over to the government to take the lead on this agenda, and close the financial exclusion gap. In their impressive call-to-arms, Baroness Tyler and her colleagues have mapped out an approach that could help Ministers to do just that.